Hartside is defined by adaptability, making it as much at home in a traditional kitchen as in a modern one. 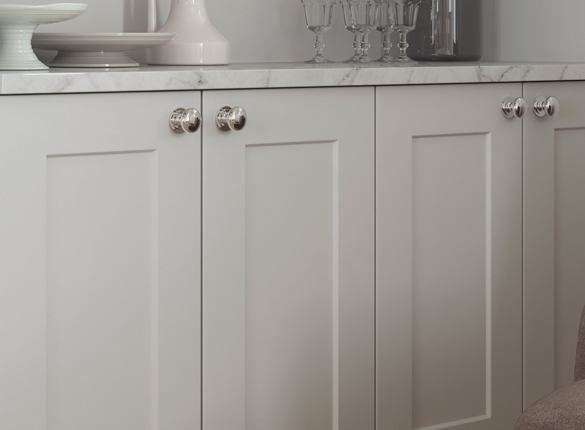 The classic shaker style doors are instantly recognisable, while the smooth painted finish updates the look, giving the Hartside its far-ranging appeal. Shown here in Porcelain and Light Grey from our stocked range and Dark Blue from our bespoke range. 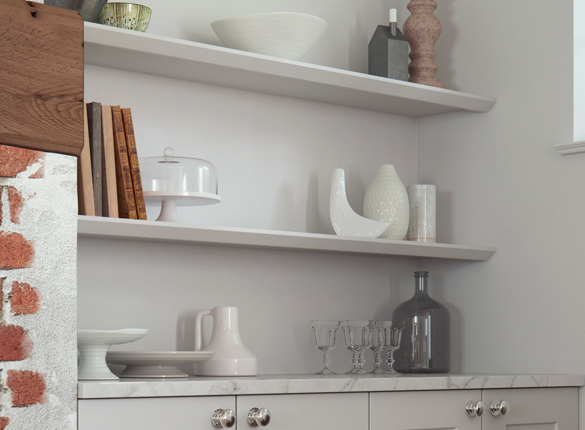 Take a closer look at Hartside and you’ll notice how the angled end moulds used on the shelving and at the end of cabinets tie in seamlessly with the chamfered edge of the centre panels – a subtle detail that adds that extra something.